Emerald City Project is a program in Bayview Hunters Point in San Francisco–both are collaborations between Hunters Point Family, which runs programs for at-risk youth from public housing, and Earth Activist Training, which teaches permaculture design, ecological literacy and job readiness training for green careers. 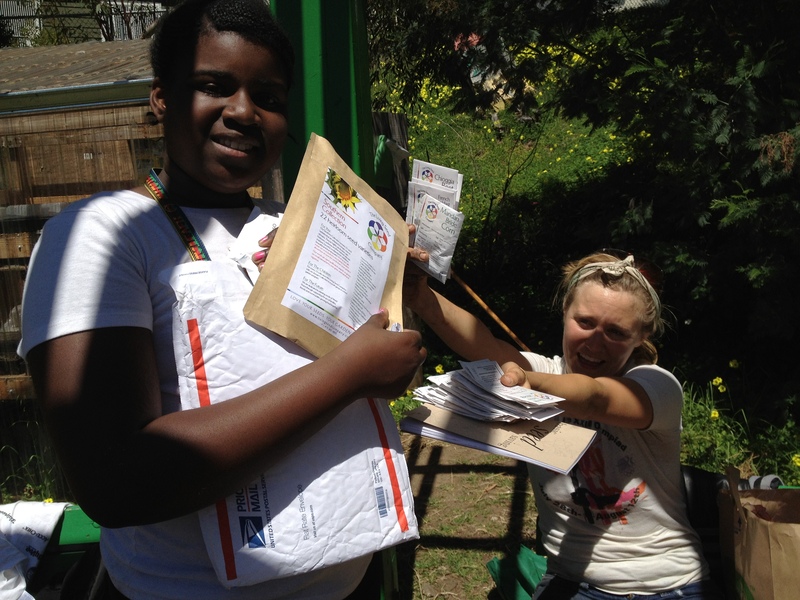 One program is a garden project with middle-school and high-school age girls who maintain a large community garden, growing food that is donated to local families and elders. The other is a green careers training program for young adults that teaches the skills and understanding to prepare for green careers. 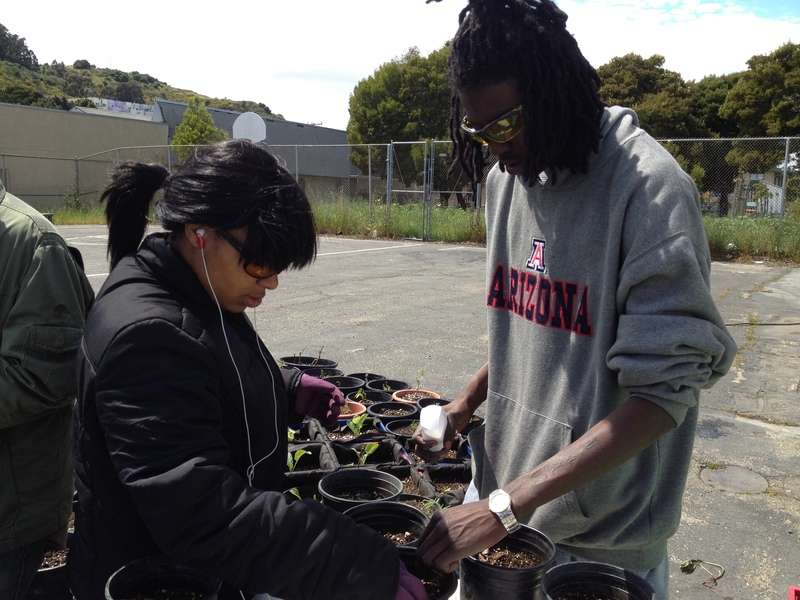 As part of our work focus, we grow starts for the community gardens and we are also turning an asphalt-covered lot in the Doublerock Housing Projects into a container garden and community space.